Home>New Songs>The Diplomats Songs> Cam'ron & The Diplomats Unite With Jadakiss' D-Block For "Dipset / Lox"
Many storylines took the forefront in 2018, including the influx of rejuvenated rap acts like Eminem, Royce Da 5'9, Styles P, and now NY's legendary Dipset crew. More than one member of The Diplomats was deserving of a pick me up in '18, and that's exactly what occurred this week when Diplomatic Ties was served like a Thanksgiving subpoena. With the table set in the unusual pattern of "paisley pink," I was forced to give thanks for the first time in forever. "Dipset / Lox" is exactly what it seems: a meeting of the bosses akin to the Gambino touching down with Lucchese crime family behind closed doors. Every member of both sets gets a turn with the mic, except for Freaky Zeaky, who is nonetheless shouted out in Cam'ron's opening verse. Jadakiss warns his fellow curb dwellers to watch what they say on "Instagram Live," whereas Juelz Santana does everything in his power to avoid the subject of his brushes with the law in '18. The other performances are just as memorable: Styles maintains his "goon" pedigree with his verse, Jim Jones reinvokes his "Capo Status," and Sheek Louch spells out the sense of loyalty shared between both groups. 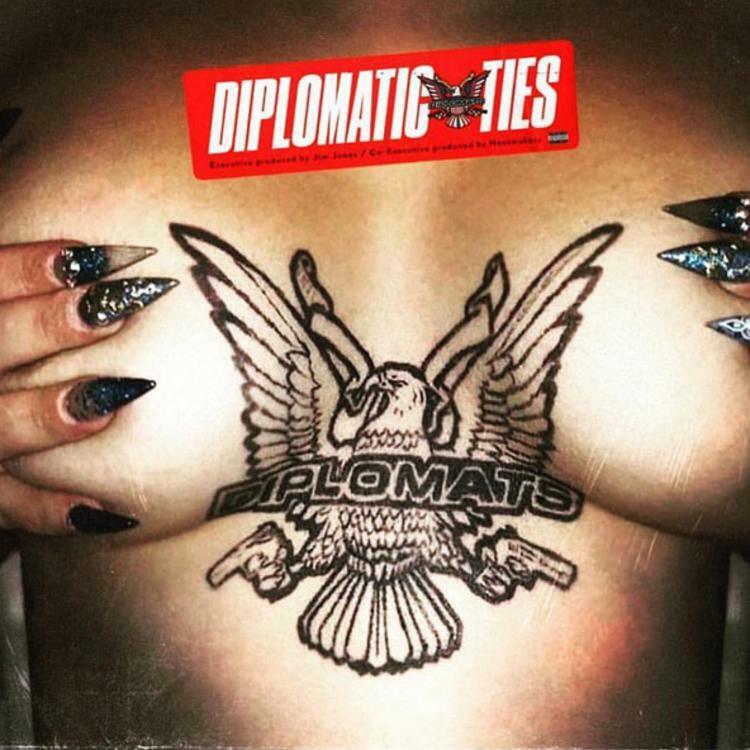 Check out "Dipset / Lox," you won't be disappointed in the least. Look, we the Dips, Freekey, Juelz, where Capo at? Y'all just dip salsa, where the nachos at? In the jungle, same place they killed Pablo at. Pulled a gun on Zeek, he say, "What y'all gon' do with that?" They shot him, he smiled, they said, "Who is that?" Understandin' n****s ain't understand my vision. SONGS Cam'ron & The Diplomats Unite With Jadakiss' D-Block For "Dipset / Lox"